Function: One of the most common theories in design is that form must follow function, and this applies to all areas including illustration & character design. A design with a logical, simple form is more easily understood. Basic shapes like circles or squares often work best as the wireframe for a character or layout of the design because of their versatility and visual clarity. Style: Contrast of shape, form or proportion is a great way to balance shapes and make the illustration interesting. The style of a illustration comes from the way in which the shapes that compose it blend together in a visually stimulating manner. 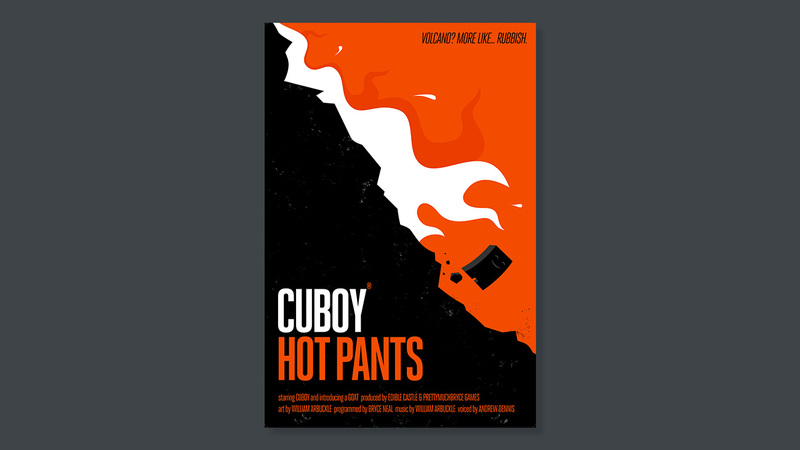 Get Involved and Share the Cuboy Hot Pants Print!